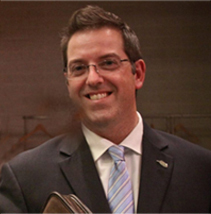 #Guelph’s “Quick Thinking” Citizen! Congrats Ethan! 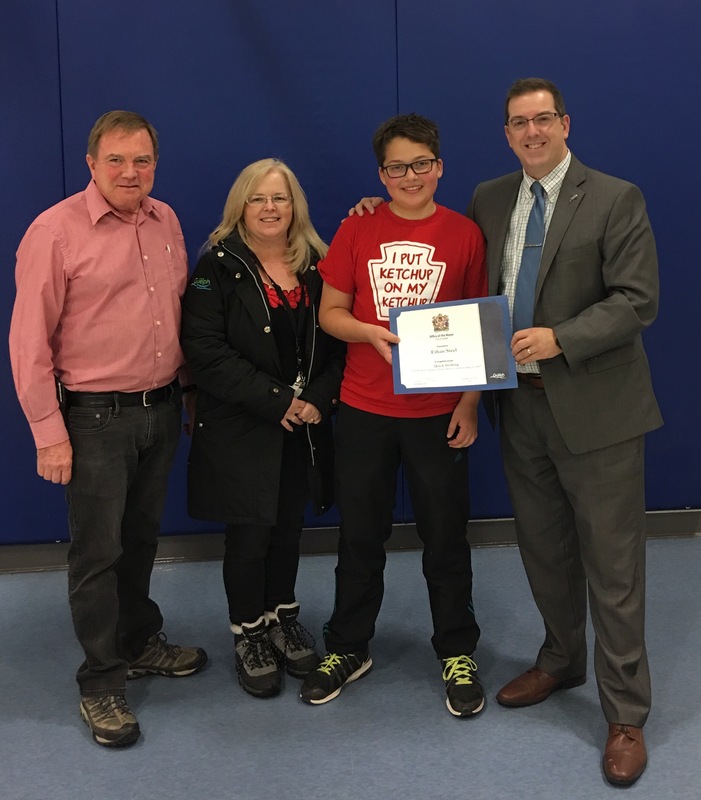 Congrats to Ethan, our “quick thinking” citizen who was honoured today by our city traffic department at King George school! 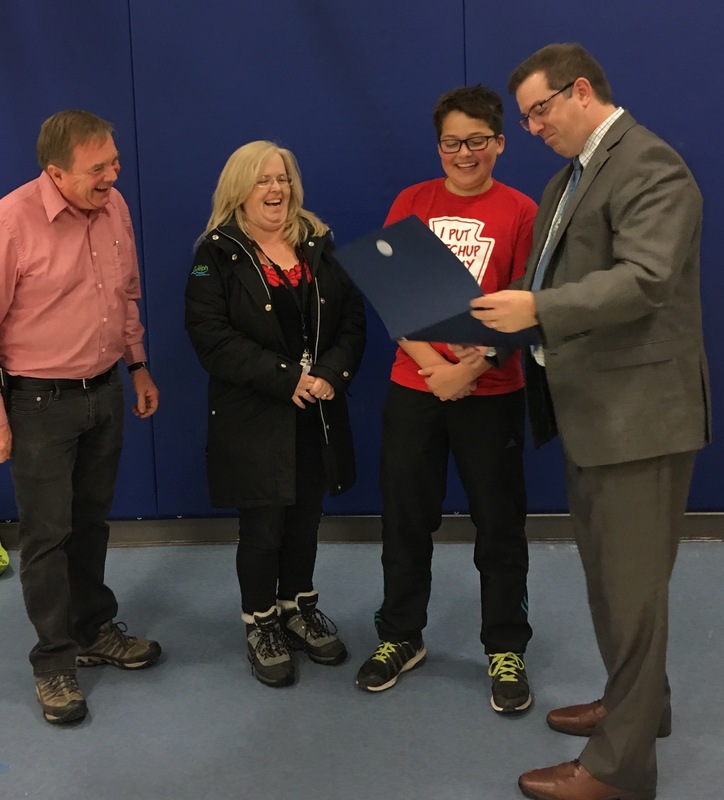 I was joined by Christine from our city traffic department and the Principal to give Ethan a certificate from the Mayors office recognizing him for passing by some construction on a sidewalk while walking to school that had been hit by a falling branch landing on wires. Ethan decided that it was better to be safe than sorry! He looped back and told a crossing guard what he saw because he didn’t want anyone to be hurt. It turned out that it wasn’t any live wires but that’s not the point. The point is that Ethan took it upon himself to use his spidey senses and tell an adult to make double sure that it was safe – and for that Ethan, we thank you!! And Ethan, keep wearing that shirt! I love ketchup on my ketchup too! ← Please Share/Retweet! 7pm Tonight #Guelph! Facebook Live #GuelphBudget! Congratulations to Ethan. God bless you!